At the height of the first dot-com bubble, many patent applications were filed that took common ideas and put them on the Internet. 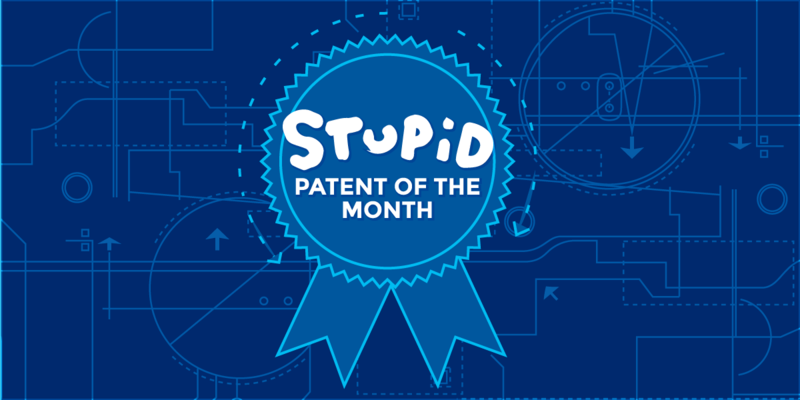 This month’s stupid patent, U.S. Patent No. 6,738,155 (“the ’155 patent”), is a good example of that trend. The patent is titled “System and method of providing publishing and printing services via a communications network.” Generally, it relates to a “printing and publishing system” that provides “workflow services...using a communication network.” The original application was filed in 1999, and the patent issued in 2004. The ’155 patent has a significant litigation history. Starting in 2013, its owner1 CTP Innovations, LLC, filed over 50 lawsuits alleging infringement, and told a court it intended to file as many as 200 additional cases. CTP claimed [PDF] that infringement of its patent was “ubiquitous” by the printing and graphic communications industry. In response to CTP’s claims of infringement, several defendants challenged the patent at the Patent Office, using a procedure called “inter partes review” (or “IPR” for short). The IPR procedure allows third parties to argue to the Patent Office that a patent shouldn’t have been granted because what was claimed in the patent was either known or obvious (two requirements for being awarded a patent) at the time it was allegedly invented. The challenger presents what's called “prior art,” that is, material known to the public before the alleged invention. The challenger uses the prior art to show that the patent’s claims weren’t new or non-obvious when the application was filed. A patent owner is then given the chance to show why they are entitled to a patent. Claim 10 is drawn to a method that requires: (1) storing files; (2) providing the files to a remote user for designing a page layout; (3) generating a PDF from the designed page layout; (4) generating a “plate-ready file” from the PDF; and (5) providing the plate-ready file to a remote printer. In order to show that this claim should be cancelled, the challenger relied on several pieces of prior art to show that claim 10 of the ’155 patent was obvious. During the IPR, the parties generally did not dispute that steps (1)-(4) were disclosed by the prior art. The only dispute noted by the Patent Office about what was disclosed by one particular prior art combination known as “Dorfman and Apogee” was whether sending a file to a remote printer (step (5)) was new or non-obvious. The Patent Office originally found [PDF] that even though the prior art disclosed all the other parts of the alleged invention, the prior art didn’t disclose sending files to a remote printer. That was enough to rule that claim 10 was new and non-obvious, and in favor of the patent owner. We don’t think that minor difference from the prior art should matter. The ’155 patent doesn’t claim to have invented how to send files to a remote printer (nor could it in 1999, as a quick search reveals). Such a trivial change shouldn’t allow someone to claim a monopoly, especially when everyone was doing things “on the Internet” in 1999. For this reason, this patent is worthy of our award. Thanks to IPR, CTP can no longer use many of the claims of the ’155 patent to sue others. Indeed, it does not appear that CTP has brought suit against the 200 parties it threatened to sue. IPR is currently facing an existential threat: the Supreme Court is currently deciding whether it is constitutional for the Patent Office to double-check its work after a patent has issued. We think it is. As this short story shows, the Patent Office sometimes misses things in the prior art, and unsurprisingly then, often allows patents that it shouldn’t. The public should be able to point out those mistakes to the Patent Office and not have to pay patent owners for things that rightfully belong to the public. 1. It turned out that at the time CTP filed its lawsuits, it didn’t actually own the patent [PDF].